50s Tattoos;Complete your 50's T-Bird Costume with this Flirtin' with the 50's Temporary Tattoos. This is a costume costume accessory for your 50's Man Costume. Easy application and easy removal! 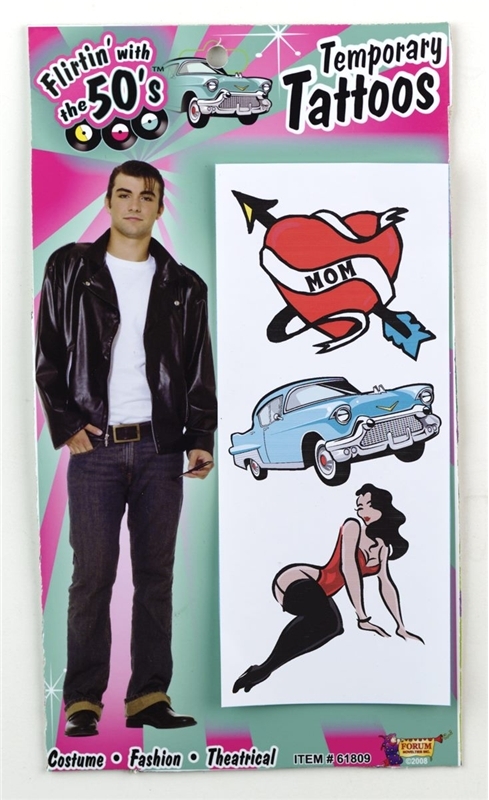 Complete your 50's T-Bird Costume with this Flirtin' with the 50's Temporary Tattoos. This is a costume costume accessory for your 50's Man Costume. Easy application and easy removal!